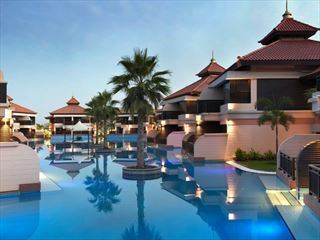 ***Exceptional Value - City and Beach Holiday!!! 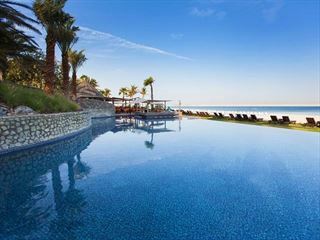 *** Experience the hustle and bustle of Dubai, twinned with a relaxing four nights in Fujairah. This tour provides a fantastic insight into 21st century hospitality and the ancient traditions and beauty of the desert. This tour will provide you with two days to experience Dubai, staying at the Movenpick, Bur, then four days in Fujairah at the 5* luxury beach resort, Miramar Al Aqah. Providing a fantastic insight into 21st century hospitality and the ancient beauty and traditions of the desert, you will have the opportunity to see Dubai and it’s surroundings in all its glory! You will arrive into Dubai and be transferred to the Movenpick, located in the city centre, where you can sample the beaches and famous duty-free shopping opportunities of this exciting destination. Sometimes called the most modern city in the world, Dubai combines 21st century hospitality and infrastructure with the ancient traditions and beauty of the desert. From the beach to the lively souks, the gold market and desert excursions, Dubai has become one of the world’s most popular destinations in a few short years. 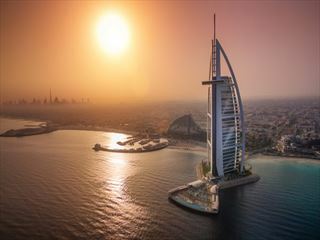 After exploring Dubai you will travel by road, around 90 minutes to the Emirate of Fujairah for a four-night stay at the brand new Miramar Hotel in an unrivalled natural setting. Fujairah is home to the dramatic Hajaar Mountains and offers guranteed sunshine, excellent watersports and ancient castles bordering the Arabian Sea. Take a desert excursion by camel, or an exciting 4x4 safari, or simply relax by the sparkling waters of the Gulf. Inspired by Morroccan architecture, this 5-Star resort has it’s own private beach. All rooms are luxuriously appointed with Mini bar, Satellite TV, Wireless Internet connections and either a terrace or balcony. The Miramar boasts a choice of dining venues, including the main restaurant, pool snack bar and barbecue buffet, a beach restaurant and great sports facilities including a gym, tennis courts and a Kids Club. To do as you wish at the Miramar. Perhaps relax on the beach, or participate in something more energetic!